Unpack into Future Pinball directory one of BAM.ZIPs from Download section (see picture on right). FPLoader.exe - the file that you run instead of "Future Pinball.exe"
Instead of "Future Pinball.exe" run "BAM/FPLoader.exe"
If you have passed any parameters for the FP, pass same parameters to FPLoader.exe. So you can still use "frontends" like HyperPin. (see FAQ How to setup HyperPin for BAM). ~ (key below ESC) or Q - enables / disables the menu. Note! when leaving the menu, settings are saved. If you quit the game by pressing the ESC key before you leave the BAM menu, changes will not be saved. arrows - navigate through menus and change settings. The first option in the menu (MODE) is to change the mode of operation (or plugin). 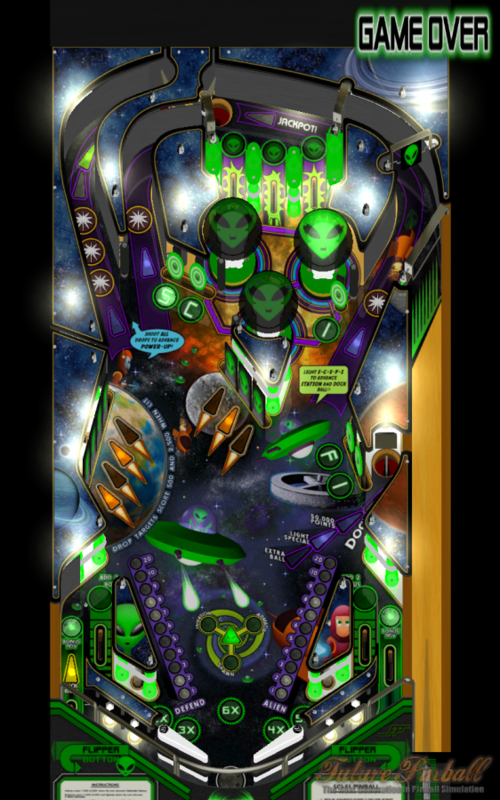 The default mode is "Future Pinball" which is described in the following point. BAM can now operate in Desktop or Arcade mode. It depends on Future Pinball settings: [Preferences] -> [Video / Rendering Options] -> "Arcade Mode". In Desktop Modemenus related to Head Tracking are removed. 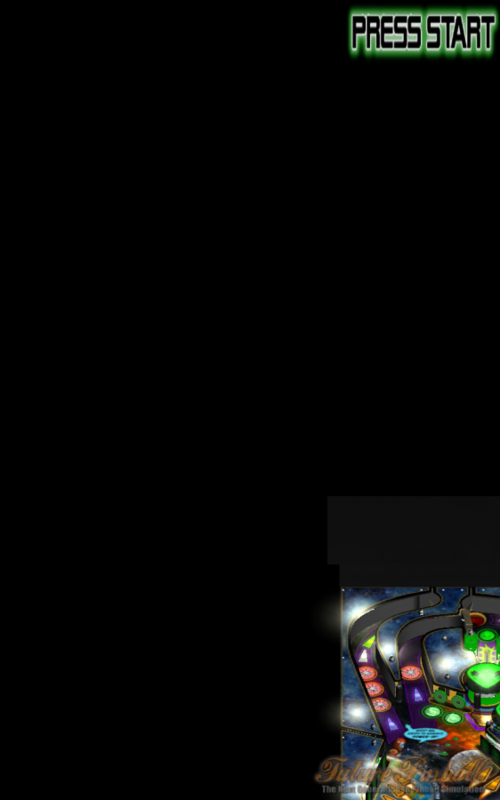 If you set same path for Backbox and playfield, backbox screenshot will overwrite playfield screenshots. You can also redefine keys used in BAM menu. [Config] -> [Redefine Keys]. "Menu" and"Menu2" do exactly the same thing. 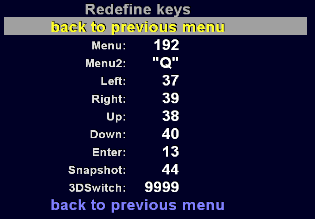 "3DSwitch" is used to On/Off Stereo 3D mode. 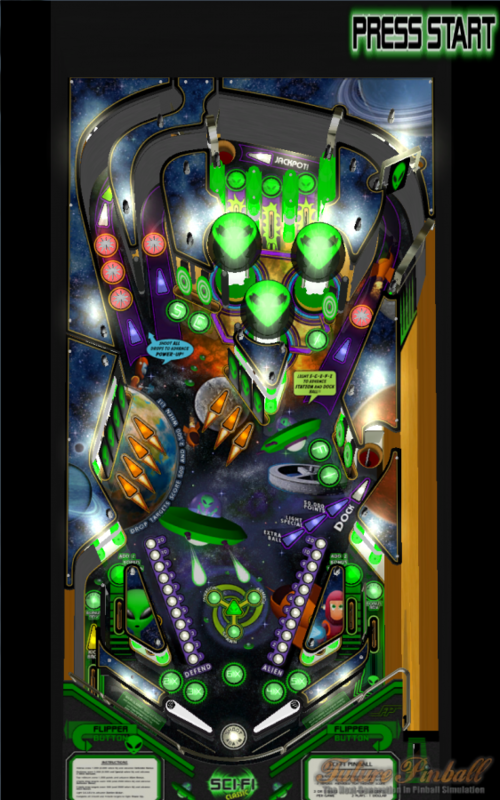 Download & install Future Pinball. (Please install it in default dir: c:gamesFuture Pinball). 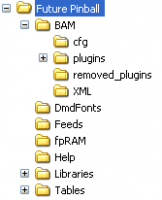 Download BAM-OpenVR.zip and save it in Future Pinball dir (c:gamesFuture Pinball). When unpact it. Run FPLoader.exe as Administrator. (It should be in c:gamesFuture PinballBAM-OpenVR). It should load Future Pinball. Now load any table and press F5. You don't need to install anything more. You already have SteamVR installed. Enable Unknown Sources in Oculus Home. Go to Settings, on left menu, click General then toggle "Unknow Sources". Install Steam. Install SteamVR (https://steamdb.info/app/250820/info/). SteamVR Beta needed. In Steam select "properties" of SteamVR, go to last tab (Beta) and from combobox select "beta - SteamVR beta update". Steam should download last beta version of SteamVR. Press Q to show menu. Start cam position: X,Y,Z - you may change "home" position. Z value is used only when Tracking Orgin = Seated. VSync - it work better for me when it is set to "Off". Home key. Default: F12 - This key is to reset camera position.